Every time I think I understand my kids, I’m quickly reminded of how little I actually know. Take this example from just last week. My son and I were leaving town for a quick trip last Friday. I was going to pick him up about 30 minutes early from school. Then I thought, why not just check him out of school around noon. Then we could go to lunch together and have time just to play and goof around some. 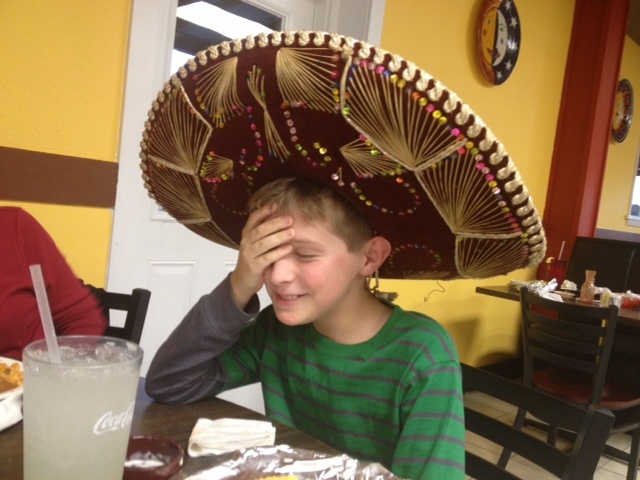 I might not can make him skip school, but I can embarrass him on his birthday. I mean, isn’t that what fathers are for? I’ve said it before, and I’ll say it again: who is this kid? I know he can’t be mine. If I’d had that opportunity, I would have volunteered to just miss the WHOLE day. I mean, why clutter up a great day of goofing off with something like classes and school. To say the least, I was very disappointed in the direction that America’s youth is taking. Where did I go so wrong? I thought I was raising him the right way . . . So, instead of goofing off and eating a bunch of junk food, my son went to school, and ate his vegetables. Well, maybe he didn’t eat his vegetables, but a dad can dream, can’t he?